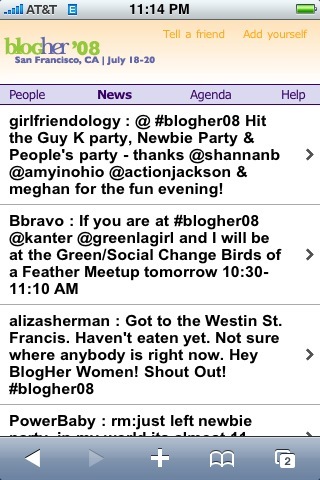 It has been quite the busy week in Cerado-land, as we were supporting the two hottest tickets in town, PSFK and BlogHer, with custom, iPhone-enabled pocket guides. 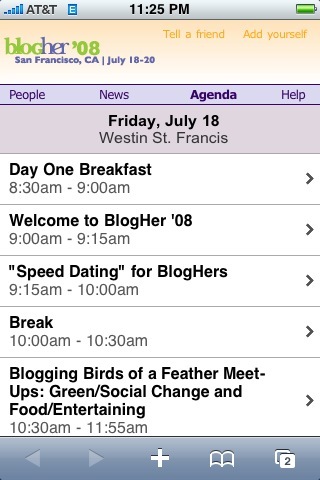 As PSFK wraps up today, BlogHer kicks off on Friday. We’re supporting the conference and created a custom VentanaTM that will serve as a mobile-friendly Official Pocket Guide and connect the event with its attendees in real time. People – The Network page lets attendees add themselves to the guide and link to their Facebook, LinkedIn, Twitter, etc. News– The latest blog posts, announcements, and comments are the first things you see when you open the Guide. 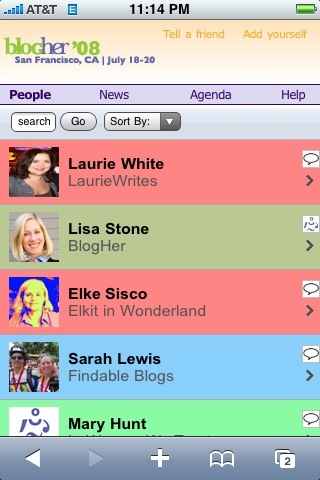 Agenda – The Agenda page will be updated in real time whenever the conference agenda shifts. Help – We’ve included a helpful FAQ to help you keep track of everything that’s going on. You can learn more about Cerado Ventana at ventana.cerado.com.